Definition at line 27 of file CFitProblem.h. Definition at line 93 of file CCopasiArray.h. Definition at line 101 of file CCopasiArray.h. Definition at line 137 of file CCopasiArray.h. Definition at line 105 of file CCopasiArray.h. Definition at line 113 of file CCopasiArray.h. Definition at line 129 of file CCopasiArray.h. Definition at line 122 of file CCopasiArray.h. 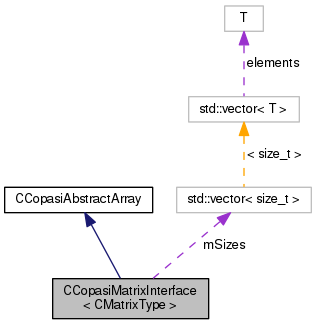 Referenced by CCopasiMatrixInterface< CMatrix< C_FLOAT64 > >::CCopasiMatrixInterface(), CCopasiMatrixInterface< CMatrix< C_FLOAT64 > >::operator(), and CCopasiMatrixInterface< CMatrix< C_FLOAT64 > >::size(). Definition at line 124 of file CCopasiArray.h. 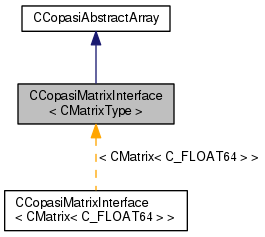 Referenced by CCopasiMatrixInterface< CMatrix< C_FLOAT64 > >::CCopasiMatrixInterface(), and CCopasiMatrixInterface< CMatrix< C_FLOAT64 > >::size().